Materials: Metal silver plated base. Maroon translucent plastic. Bakelite socket. 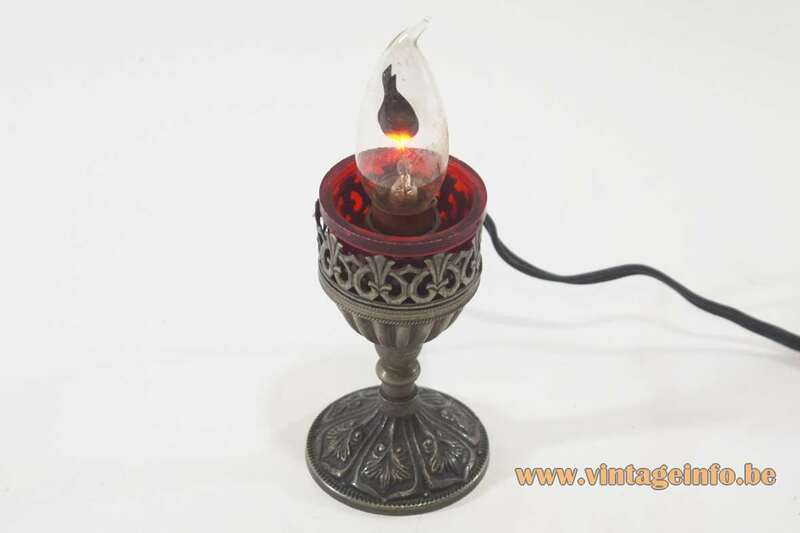 Flame neon glow light bulb. 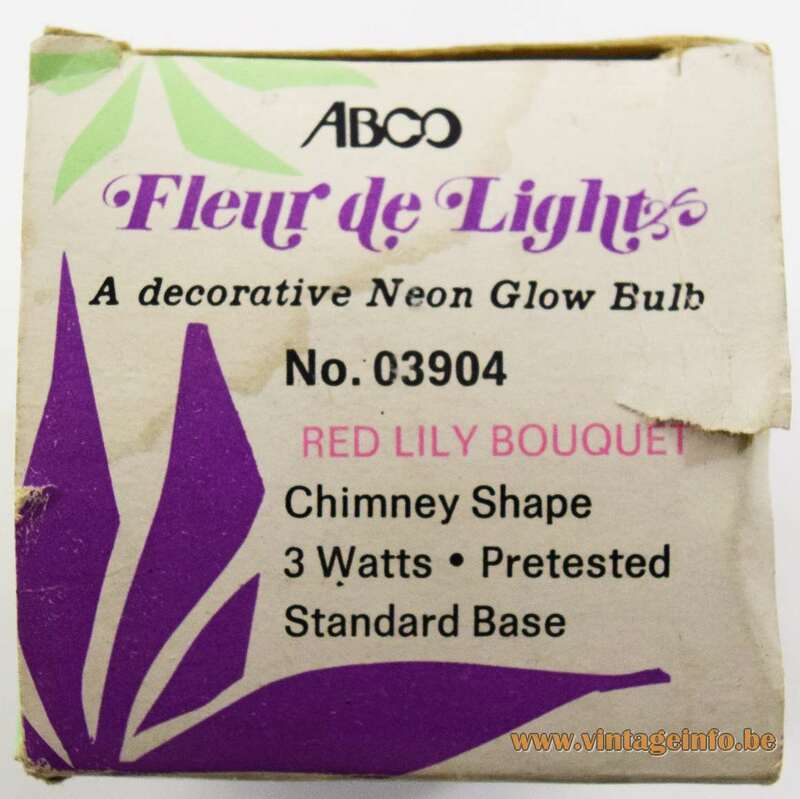 Electricity: 1 neon glow flame light bulb E14, 110/220 volt. Designer: Philip J. Kayatt designed the first light bulbs with this mechanism. Other versions: Made in several variations, also sold with different bases over the years. 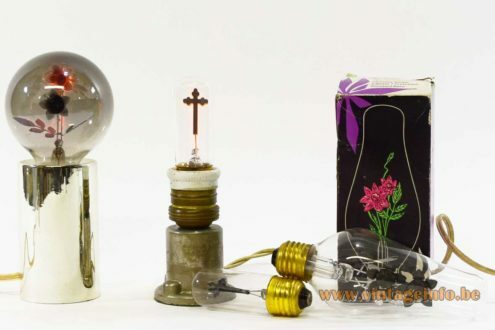 Light bulbs were produced for 110 volt and for 220 volt. 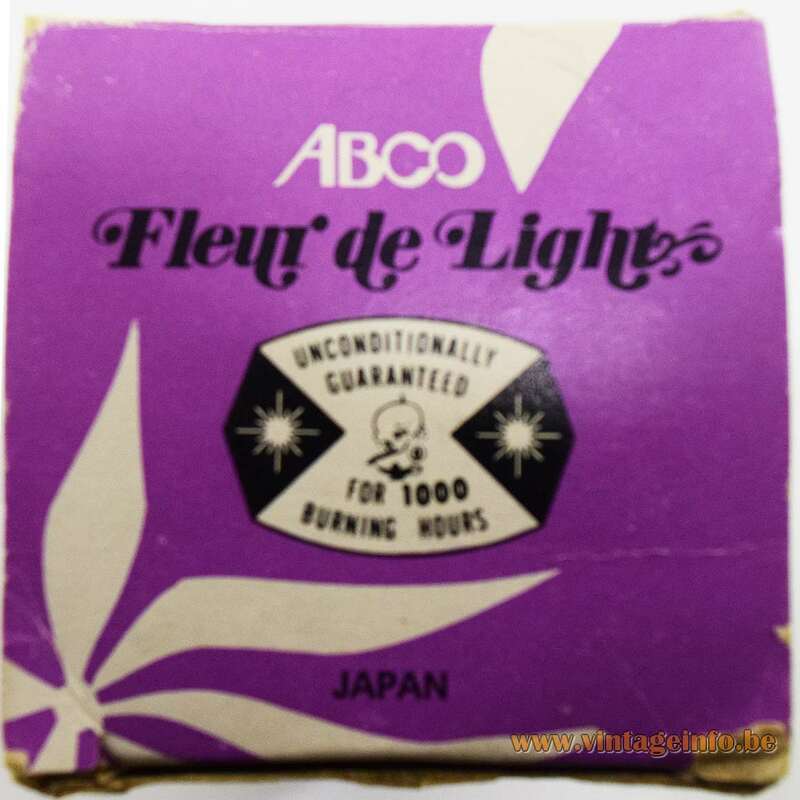 Manufacturers: These type of light bulbs are made since the 1930s. They contain low pressure gas, either neon or argon, or a mixture of the two. 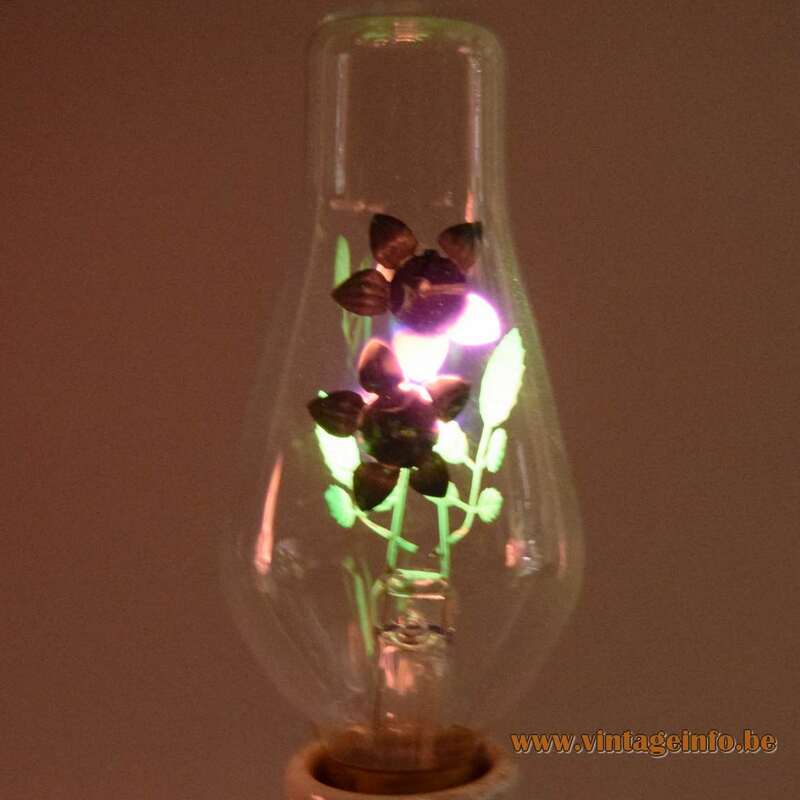 In the bulb are metal sculptures coated with phosphors. These phosphors fluoresced when excited by glow discharge. 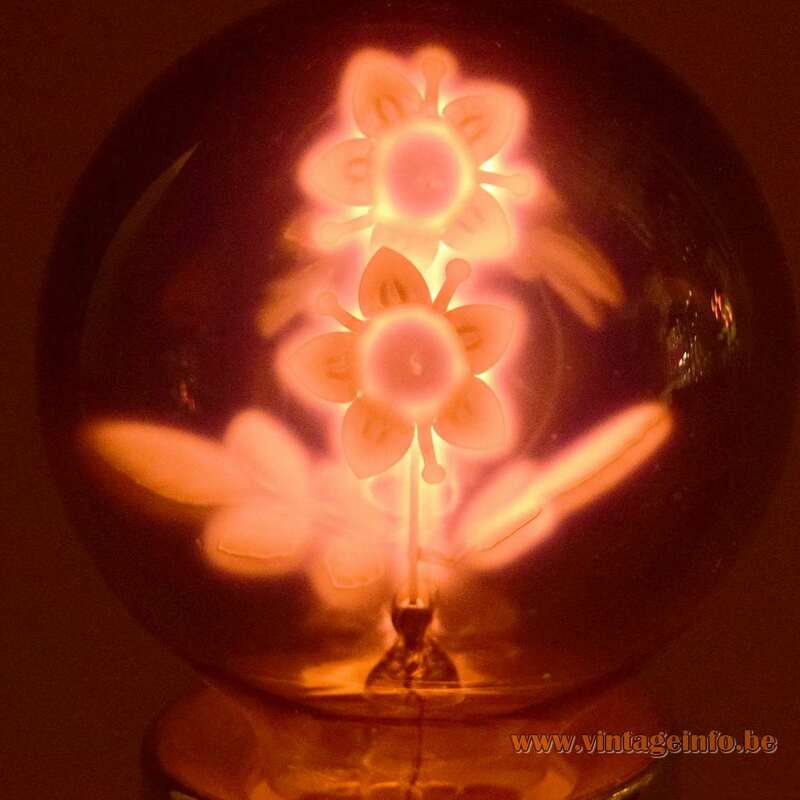 Several companies made light bulbs like this. One of the most famous is Aerolux. It was active from the 1930s until the 1970s. Philip J. Kayatt (1896-1975) was president of the company. 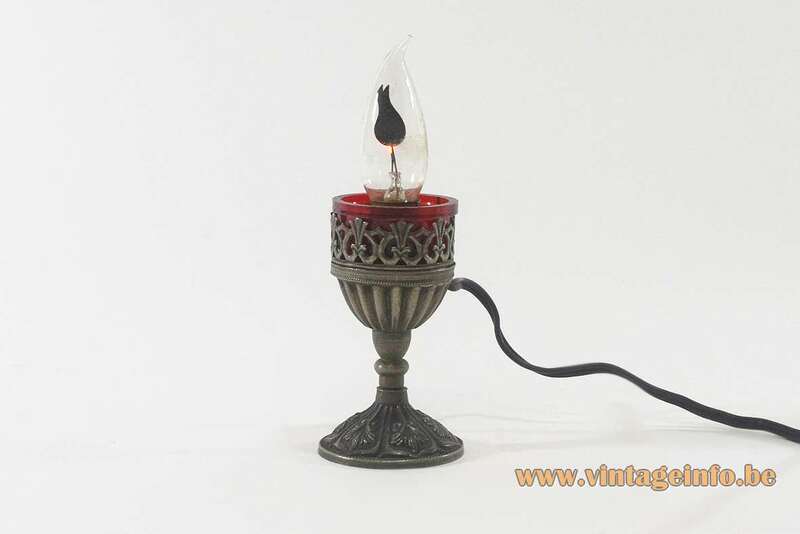 In Japan it was ABCO who made similar lamps. Today ABCO is owned by Westinghouse. The flame light bulb of this lamp has only a stamp with 2200 on it. Maker unknown. 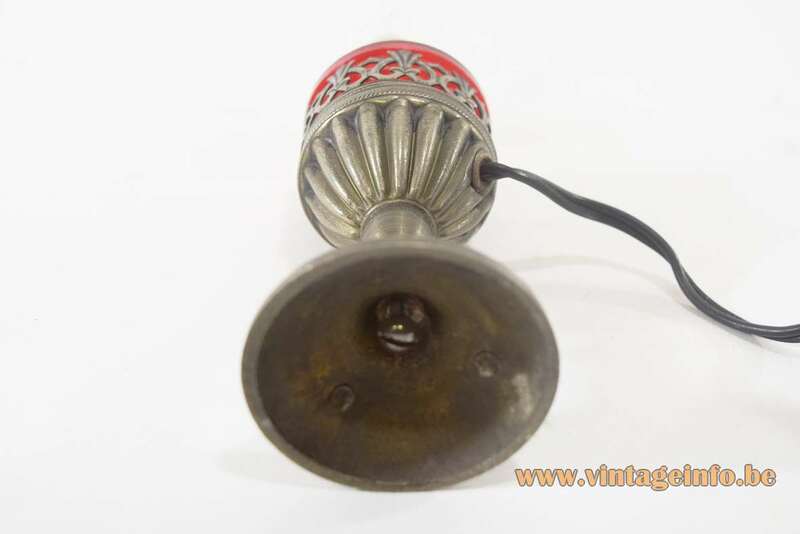 Bulbs like this one were/are made by Brillanta and Ormalight, and probably some other companies. 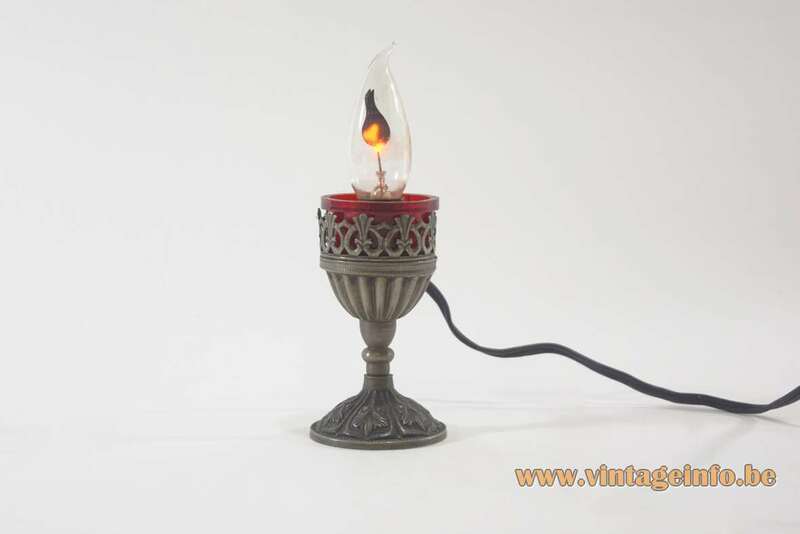 Remembrance table lamps such as this one were sold in many tourist religious places such as the Vatican in Rome or places of pilgrimage such as Lourdes in France, Fátima in Portugal, Santiago de Compostela in Spain and so on. 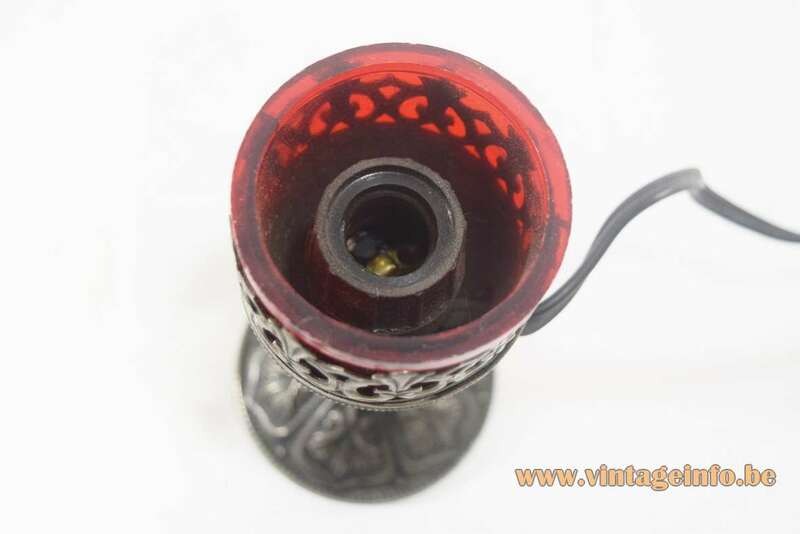 This lamp was made in the 1960s. 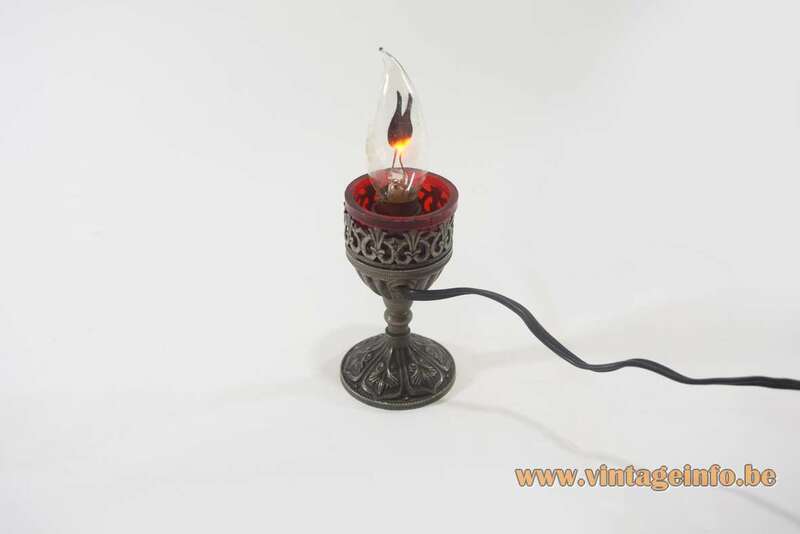 Today religious/remembrance lamps in this style are still for sale, also online. Light bulbs with flowers, crucifixes, flames and other figures are also produced in China and are for sale on Chinese websites.